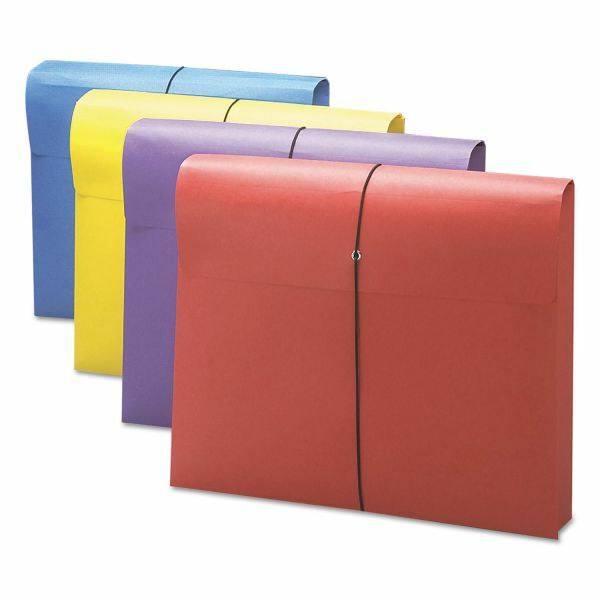 Bright colored wallets help color code projects. 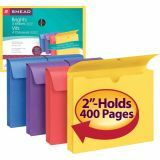 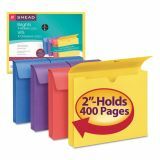 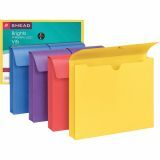 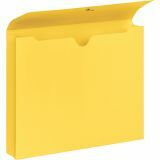 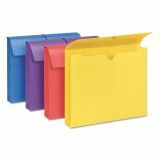 Smead 2" Expansion File Wallet w/Product Protection, Letter, Assorted, 4/Pack - Use these colorful wallets to organize and store your most important documents. Antimicrobial material resists the growth of bacteria, mold and mildew that can cause stains, odors and product deterioration. 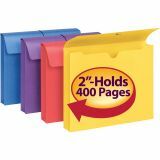 Expand to 2 to hold up to 200 sheets of letter-size paper. 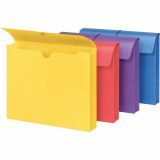 Elastic cord keeps protective flap closed and contents secure. 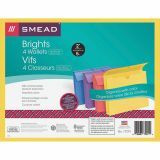 11 point colored stock is acid-free and archival-quality."